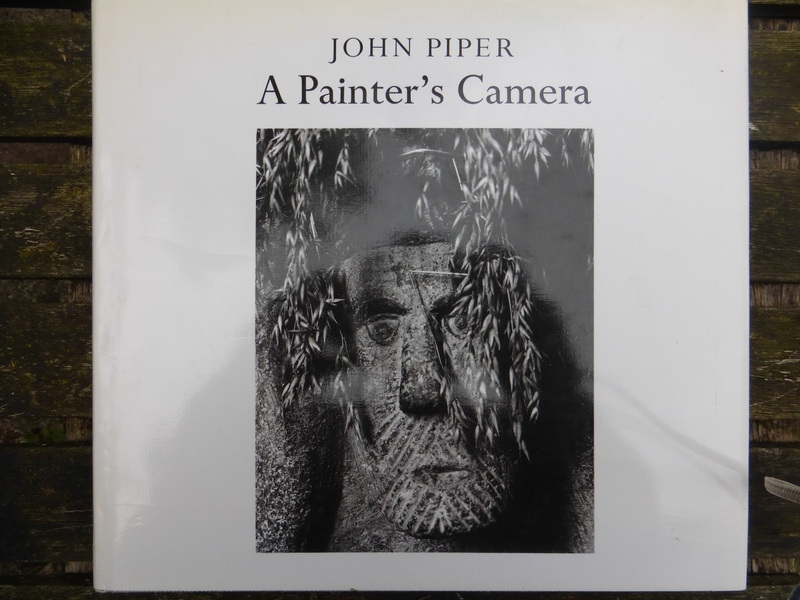 I heard this morning on the radio that the Tate's collection of John Piper's photographs has been digitised and made available on the net. (They're asking for help in identifying some of the subjects.) Piper took numerous photos - there are nearly six thousand in the Tate archive - over about 50 years, from the 30s to the 80s; landscape and architecture were his commonest themes. As well as regarding photography as an art form in itself, he used photos in his prints (for example the Eye and Camera series) and as illustrations for the Shell Guides (which he edited for a couple of decades) and other publications. I think he ranks very highly as a photographer in his field, just below Edwin Smith, in fact. His photos (all black and white, as far as I know) often exploit high contrast, with deep, inky blacks making the whites seem supernaturally brilliant. Like his paintings, they're nearly always peopleless. His sense of composition, as you'd expect from a painter, is faultless. On the whole he avoids obvious subjects, preferring the road less travelled, but when he does photograph standard tourist spots he contrives to find something entirely new to say. 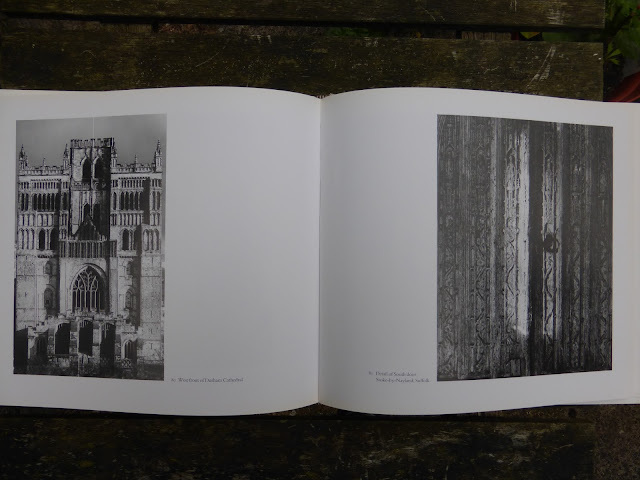 See the picture of Durham cathedral below, for example; the west front has been painted and snapped many thousands of times, but Piper, by taking the picture from absolutely head on, produces an original, almost abstract pattern. (I'm not even sure how he got this view; I can't think of anywhere from where you can see this angle.) He's also wonderful at zooming in on textural details. Altogether, he reveals buildings and places that might, to a casual, averagely unobservant visitor, seem ordinary and even dull to be charged with atmosphere and drama. Piper was one of the many English artists who were born in 1903; he died in 1992. 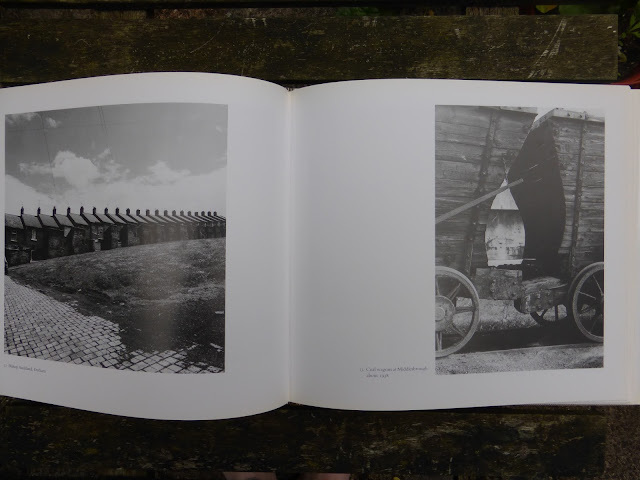 In 1987 the Tate published a book containing 119 of his photos. The Hertfordshire Shell County Guide (1982) was the antepenultimate volume in the series, and although Piper was editor, it doesn't contain many of his photos. (The series as a whole, however, contains many hundreds of them.) 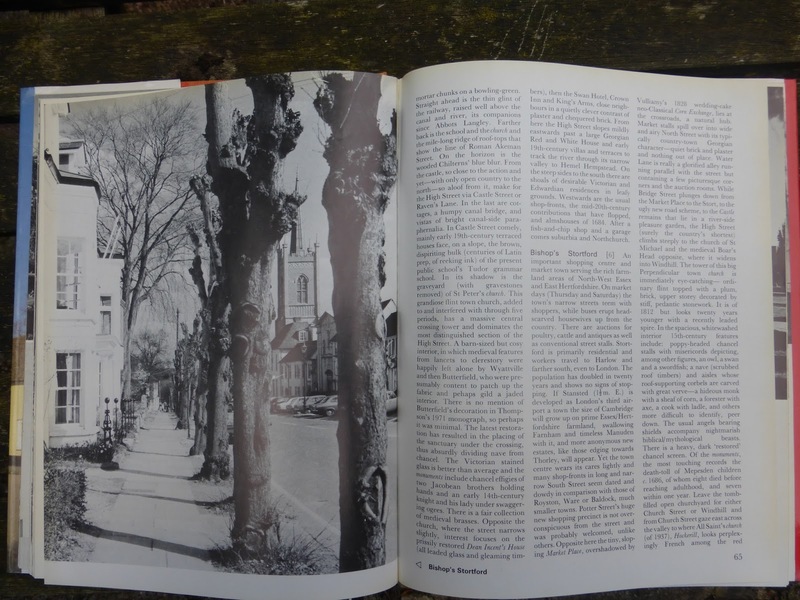 In fact, the majority of the photos are by his son Edward, who was responsible for the design and layout of the books at this time. Here's one by John, of Bishop's Stortford.